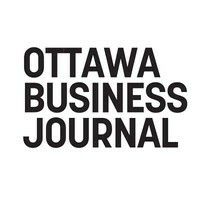 While nearly two dozen established Ottawa firms are proving themselves among the fastest-growing in Canada, the National Capital Region was shut out of a list ranking up-and-coming Canadian startups, according to an annual report released Thursday. Every year, Maclean’s Magazine and Canadian Business rank the top 500 companies across Canada based on five-year revenue growth. This year’s Growth 500 list, previously called the Profit 500, named 22 Ottawa-based companies among its ranks – four more than last year. Leading the pack locally for a second year in a row was Kanata’s Martello Technologies at No. 28. The local communication services firm moved up 20 spots from last year’s list with five-year growth of 2,231 per cent. It’s been a good week for the local firm, as the company went public on the TSX Venture Exchange Wednesday following a reverse takeover transaction. Rounding out Ottawa’s top five were cloud-based IT company HostedBizz at No. 50, digital agency OPIN at No. 69, sensor developer Giatec Scientific at No. 80 and consulting firm Napkyn Analytics at No. 141.